DAVID LE/Staff photo. 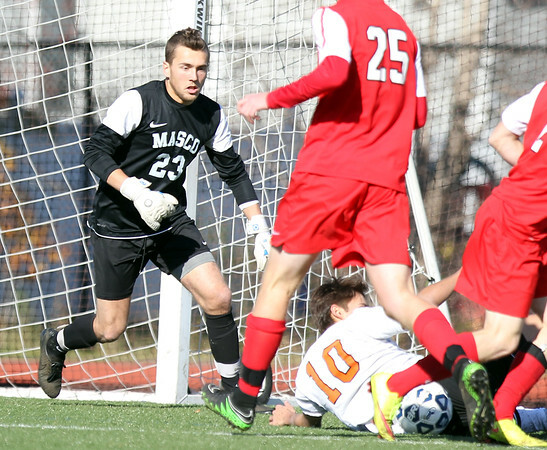 Masco senior goalie Steve Heintzelman rushes off his line to grab a lose ball against Oliver Ames. 11/21/15.